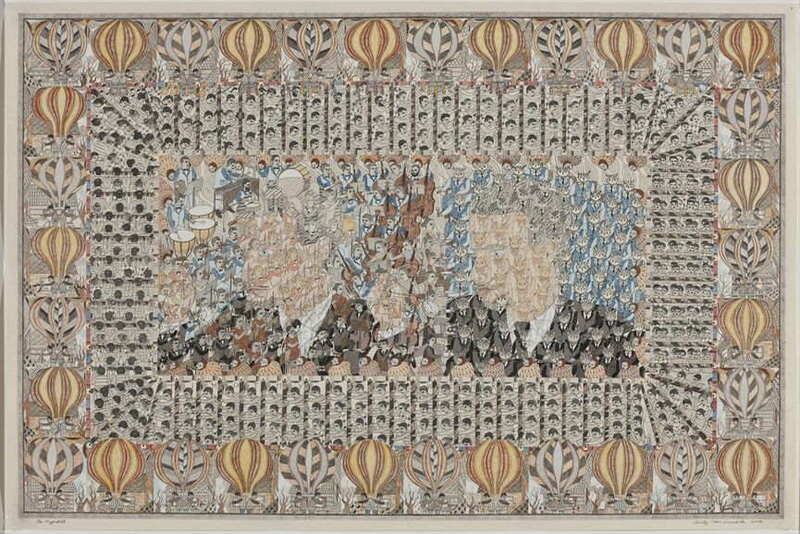 Who Are Today's Outsider Artists ? 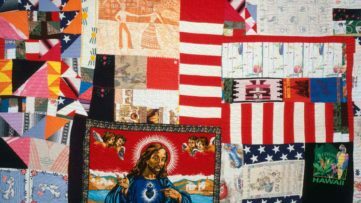 The world of Outsider Art is a small and almost hermetic part of the world of creativity. Without formal art training, Outsider Artists work on the margins of mainstream contemporary art and beyond the confines of artistic institutions, creating works of inhibited expression without rules and taboos and providing a valuable insight into the world seen through their eyes. After the term ‘Outsider art’ was first used by Roger Cardinal to describe work by untrained artists creating outside of the mainstream art world, the parameters of this term have expanded in the next forty years taking into account all different forms of raw creativity including artists with disabilities, mental illness, homeless, ethnic minorities, migrant, folk artist, the self-taught. Our list consists of the diverse group of contemporary artists coming from different sorts of societal margins who create stunning and inspiring art on the outskirts of academic mainstream. 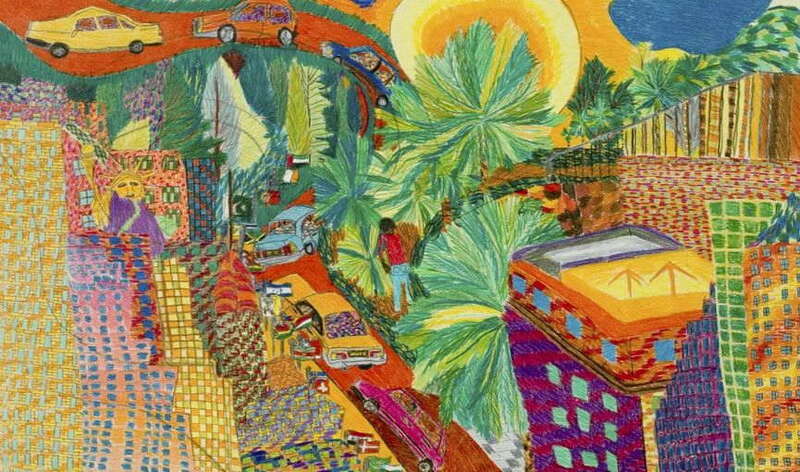 Explore further about the world of Outsider Art, a small, near hermetic part of the art world. It is a place where rules are imaginary, original thoughts appear and taboos are broken, giving us insight into the world which we can see here through other, occasionally strange eyes. This comprehensive volume provides a representative overview of contemporary Outsider Art, inviting the reader to devise own taxonomies and create own compositions. Based on over five thousand works in the Korine and Max E. Ammann Collection, seven chapters provide access to a fascinating universe of images and imagery. Seven different worlds have been delineated by semantic fields that not so much define rigid boundaries but rather create open spaces where considered thought and contemplation may roam. 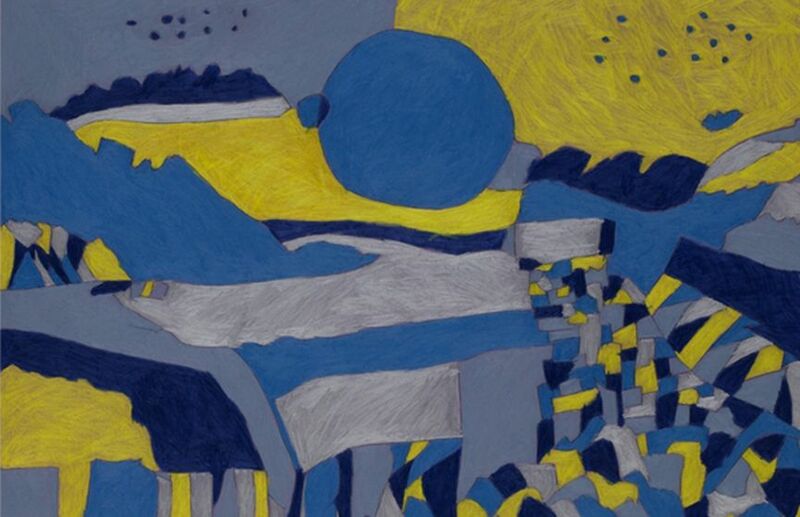 Guo Fengyi is a self-taught Chinese artist creating works on paper which are composed of finely controlled brushwork that weave into lustrous images. She used to work in a rubber factory, but retired at the age of 39 due to severe arthritis. 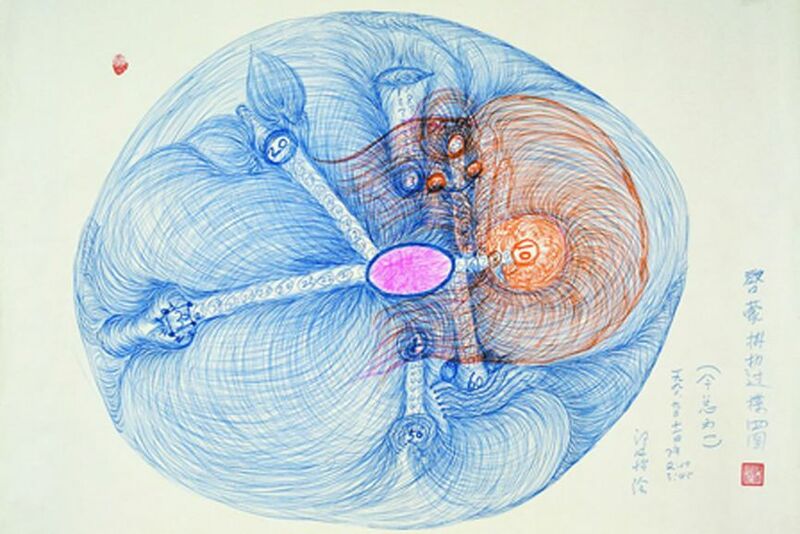 She found a spiritual path in Qi Gong and started experiencing visions that served as an inspiration for her drawings. Without an initial plan, she started producing large scale works on rice paper driven by her visions as she worked. Her works depicting ghostly figures, dragons, phoenixes and other fantastical creatures, started to draw a great amount of attention after her art was discovered in recent years. Jeroen Pomp is a 22-year-old Dutch painter who covers large sheets of paper with flora and fauna. Calling himself ‘an encyclopedia of animals’, he paints cityscapes of Rotterdam with animals, upside-down roads and pastel-colored cars. He has both autism and epilepsy, and after several years in a group home for people with mental disabilities, his life is now organized by a schedule of painting at Herenplaats. After being a subject of a documentary film produced by Gert van’t Gof, Pomp started exhibiting at the Outsider Art Fairs. 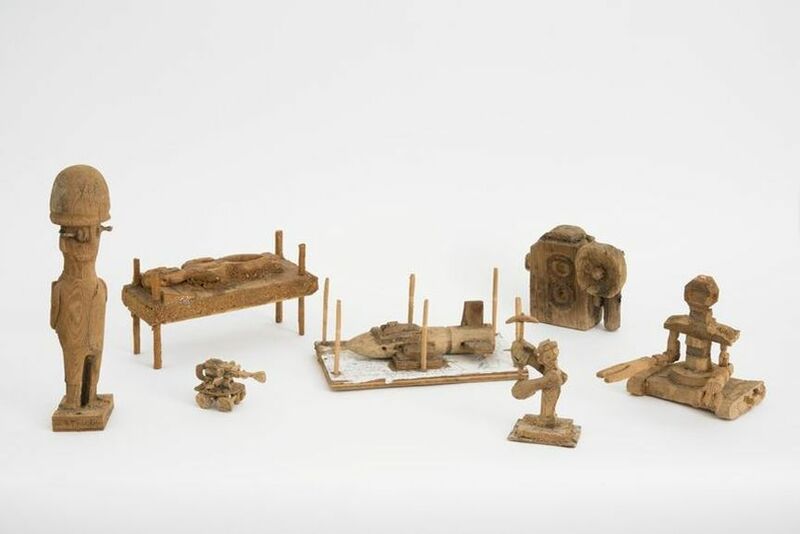 The works of Outsider Artist Harald Stoffers are part writing, part musical score, part pictorial composition. This German artist was committed to the psychiatric institution at the age of 22, where he began writing words on small pieces of paper. These short sentences transformed into longer letters addressed to his mother. He would often tear his messages, creating a puzzle for the reader to put together. 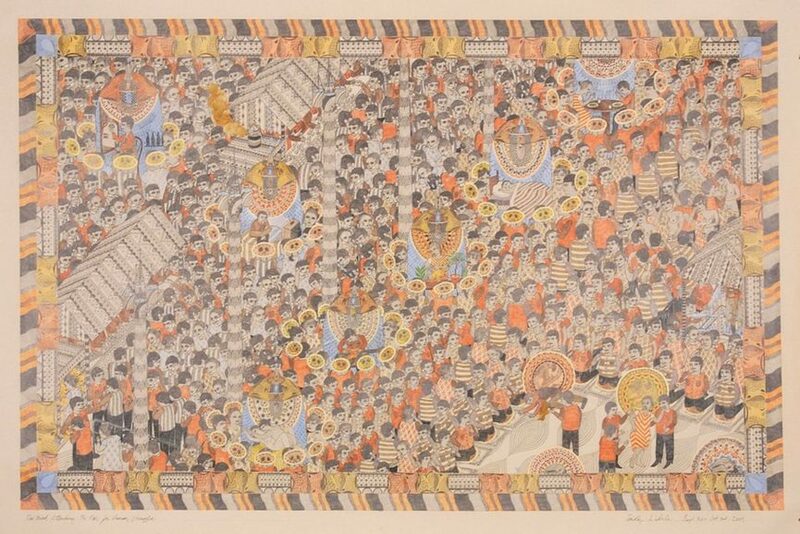 After he started exhibiting, the interest in his art has spread beyond the world of Outsider Art. Japanese artist Mitsuo Yumoto draws with colored pencils inspired with familiar things such as buildings, ships, bugs and birds. These colorful motifs are divided into multiplying segments that fill the entire picture. Colors and contrasting geometry that cover the surface make dreamlike figures that seem out of this world and more fantastic than can be found in nature. He has exhibited frequently in Japan and New York. Growing up in New York, John Byam used to work as a water boy for the railroad, he served in the Korean war, worked as a grave digger and in a trailer park. Using combinations of wood, sawdust, glue, paint and ink, he has produced three-dimensional objects following a long tradition of woodcarving in rural America. Working for more than 50 years, his sculptures depicted everyday objects such as cameras, bicycles, rocking chairs, cars and helicopters. 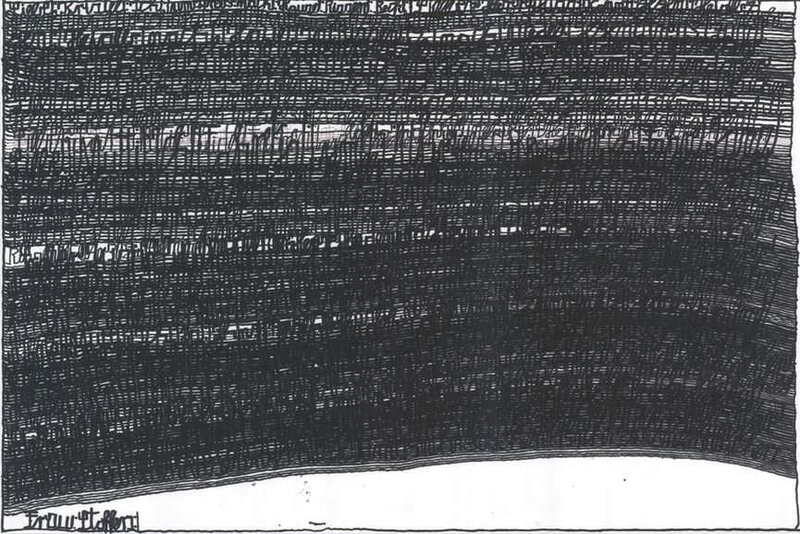 His works on paper often include portraits and written commentary about contemporary culture. 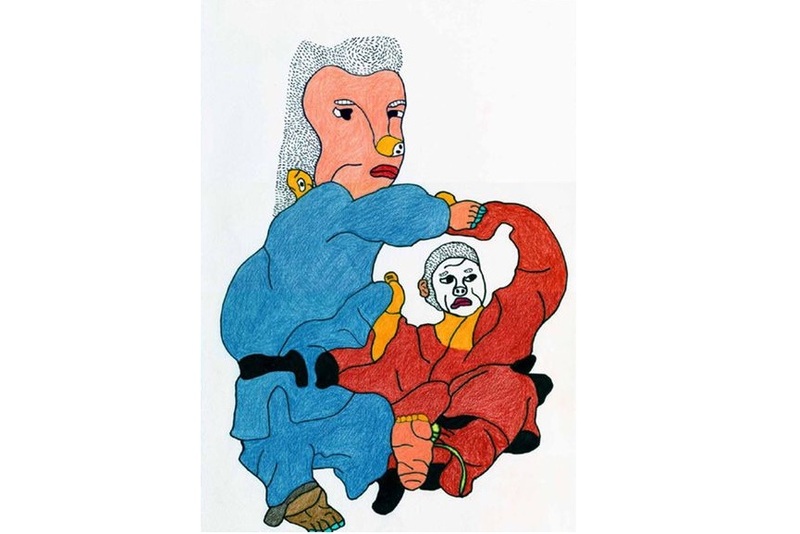 Tomoyuki Shinki is an artist from Osaka who is fascinated with combat sports such as wrestling, boxing, judo and Muay Thai. 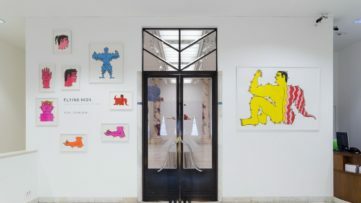 His drawings in black and white and vivid colors portray two opponents and their muscular movements. Using his computer to distort these subjects, these cartoonish scenes with twisted athletes seem to leap off the paper. Inspired with real matches, he uses bold, black lines in contrast with bright hues to create figures with abundant space around them. Gregory Blackstock is an autistic savant who has been washing pots at the Washington Athletic Club in Seattle for more than 25 years. Obsessed with manmade objects and all sorts of living things, he started making obsessive, meticulous drawings upon his retirement in 1986, works that organize these varied interests. He has been called an ‘anthropologist of the everyday’. 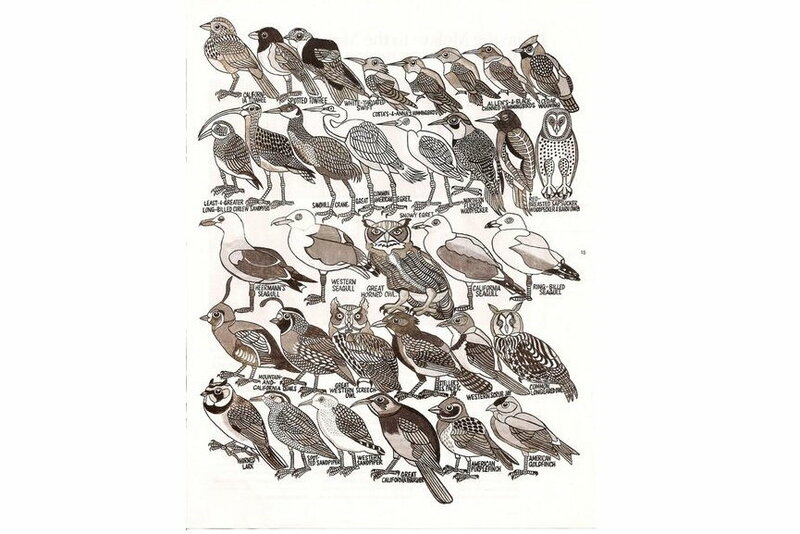 He created astounding visual lists of everything from hats to owl varieties, made with a pencil, a black marker, some crayons, and a profound attention to detail. Born in Chicago in 1958, Michael Patterson-Carver grew up amidst an active protest culture of the 60s which has remained a strong inspiration for him. 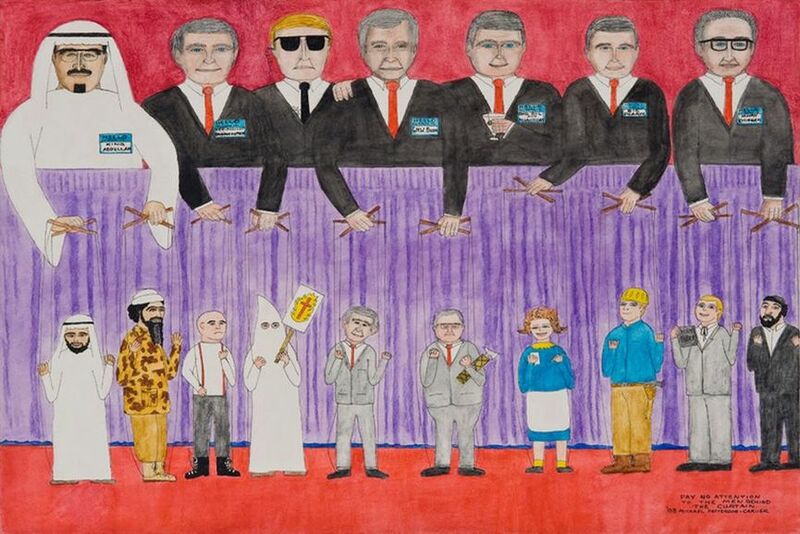 This self-taught artist makes colorful drawings about social injustices, left-wing causes and historical civil rights struggles. 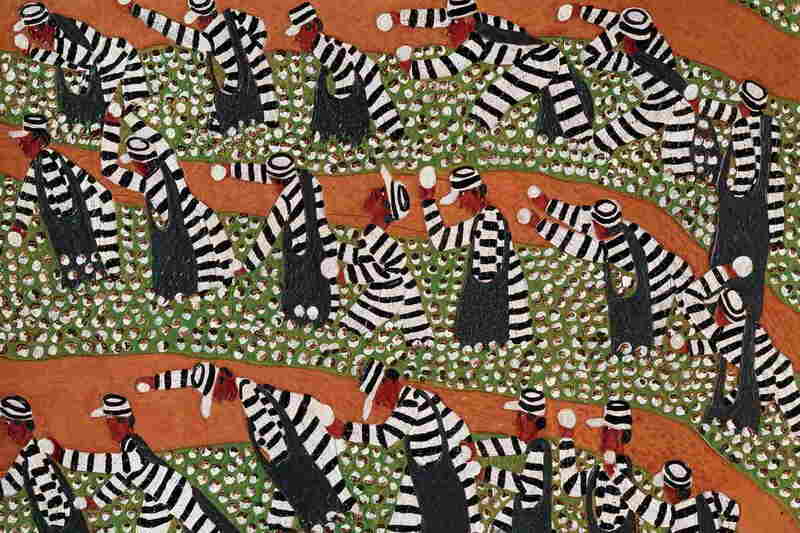 Considering himself a political refugee, his art is a personal form of political ativism. 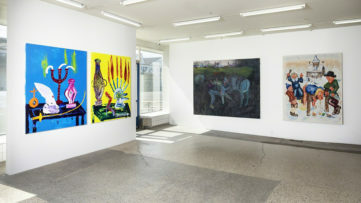 He has exhibited worldwide and in 2008 he recieved the Altoids Award and an exhibition at the New Museum in New York. 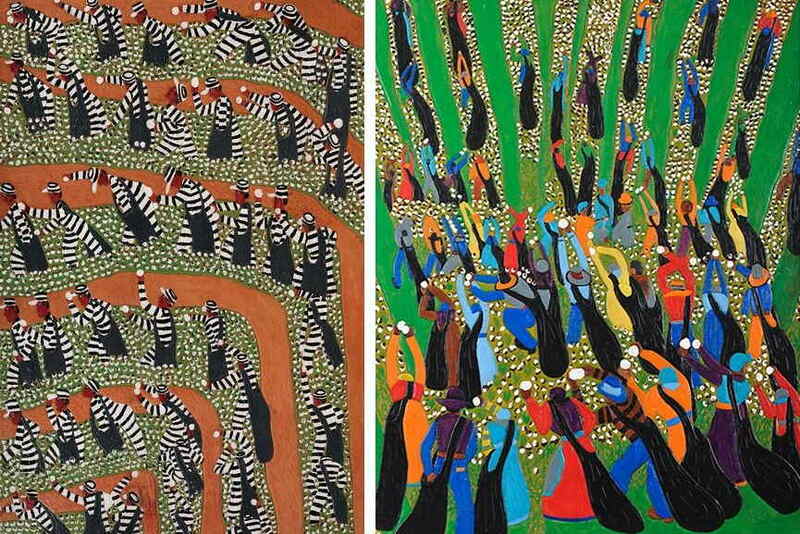 Winfred Rembert is an African American artist who tools and paints on leather canvases. Growing up in Georgia, he was a cotton and peanut picker as a child and young adult. He was arrested in the 1960s during a civil rights march. He first started making art in prison, where he has learned to make tooled leather. Stretching, staining and etching on leather, Remberd visualizes scenes from the Southern town he was born in and his memories of oppression and racial tensions. Timothy Wehrle, an artist from Iowa, has chosen not to pursue artistic training, as he felt it would compromise his pure creative vision. 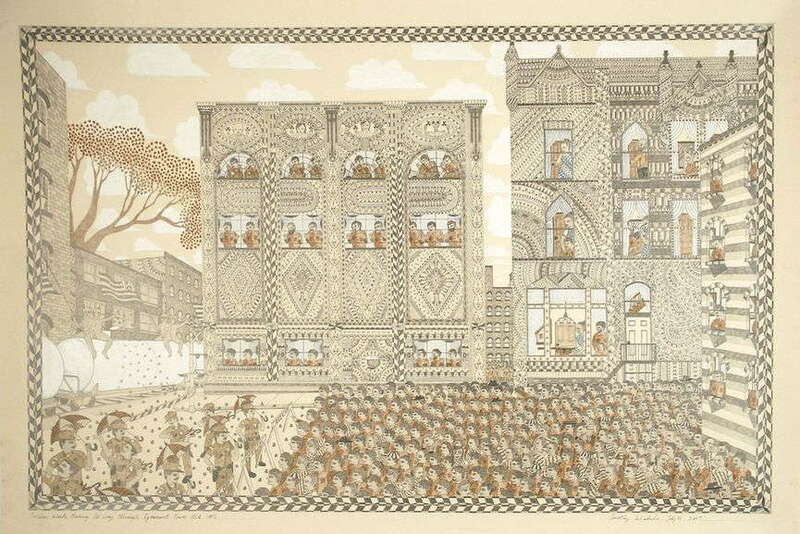 His detailed drawings are influenced by Persian miniatures, comic books, sacred mandalas, folk art quilting and the kaleidoscopic drawings of Swiss artist Adolph Wölfli. These complex and layered images are exploring subjectivity and personal experiences, as the artist himself is often positioned as the central figure. He first started exhibiting in 2003, and soon after attracted a growing group of followers. Featured images: Timothy Wehrle – Nuclear Waste Making its Way Through Ignorant Town, USA, 1982; Timothy Wehrle – The Hypnotist, 2008, via Cavin-Morris Gallery.com.